An “onsen” is a Japanese hot spring, including the bathing facilities and inns frequently situated around them. As a volcanically active country, Japan has thousands of onsens scattered throughout its length and breadth. While earthquakes occur often in Japan, it still benefits greatly from nature. 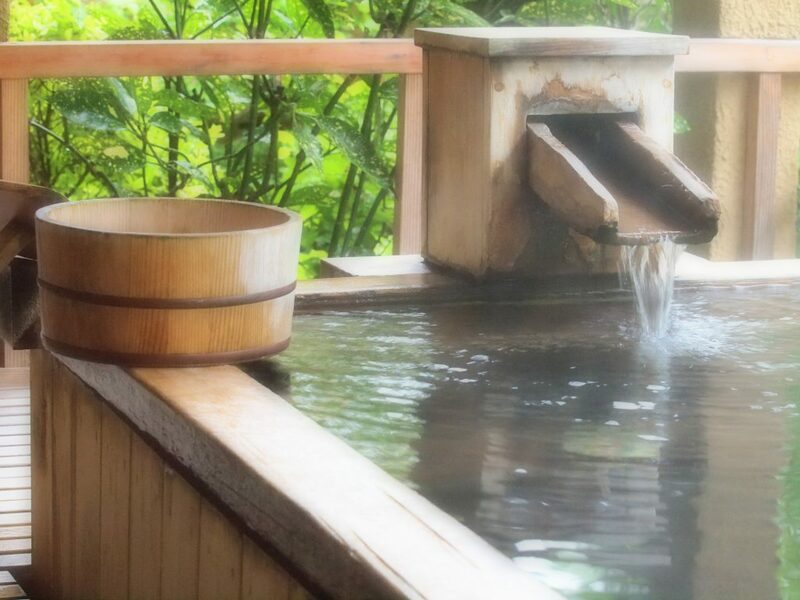 Japan believes that onsen is one of the many gifts it has received from nature. Onsens were traditionally used as public bathing places and today play a central role in Japanese domestic tourism. In japan onsens, anyone that enters the bath must be naked. There is a saying that goes, “Hadaka no Tsukiai,” which means, “we are equal when we are naked.” Whether you are a rich or poor person, when you are naked, we are all the same. In Japan, it is normal to share a bath as a form of communication. Do you feel that this is strange? Don’t think about it too much. There is no better place to be open and true to yourself. It is a part of Japanese culture. Usually, people recommend famous onsens, such as the Hakone Onsen, Kusatsu Onsen, Beppu Onsen, Takarazuka Onsen and so forth, but people who love Japan already know of these. Today, we are going to introduce some onsens that even most Japanese don’t know about. These onsen are a kind of secret place because they are located at temples and shrines. 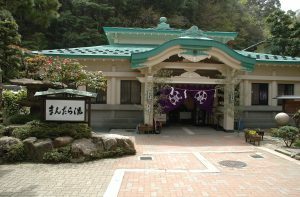 People are often surprised that there are onsens at temples and shrines because temples and shrines are considered a historical place and religious building. Imagine, for example, if there were an onsen at a church. You can have a great time experiencing both Japanese traditional culture of temples and shrines at the same time as experiencing an onsen. 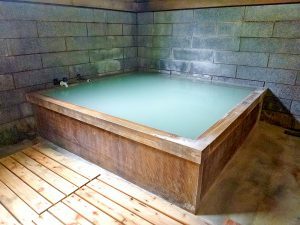 This experience is will likely be much better than if you were to visit a normal onsen. All the temples and shrines are wonderful and they have marvelous onsen. Here they are! 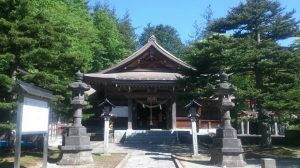 The Nikkozan Onsen Temple is branch of Nikkozan Rinnoji temple and it is one of the World Heritage sites of the Nikko shrines and temples. 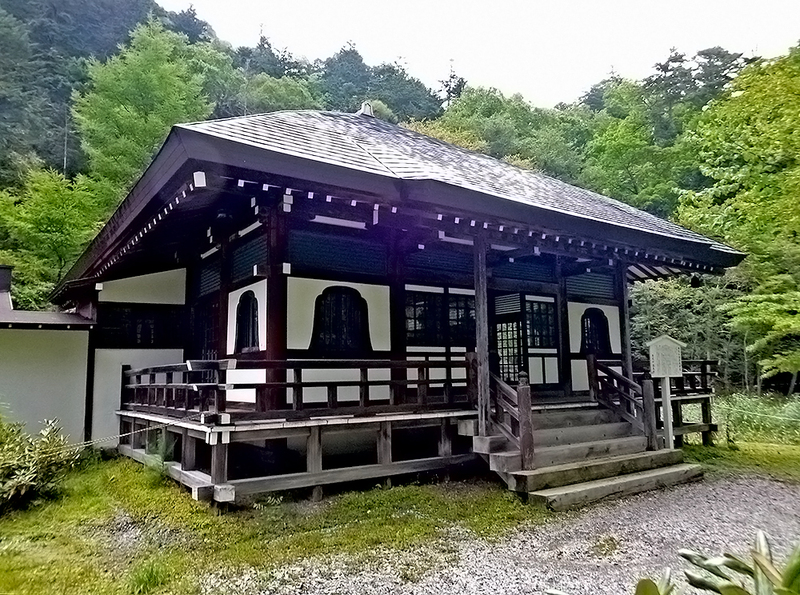 It has a long history, dating back to the year 788, when the holy priest “Shodou” discovered the onsen and enshrined the healing Buddha Bhaisajyaguru. It became a well-known hot spring, which is famous for its healing and long-living power. At that time, if you were not given special permission to enter the bath, you could not enter the onsen. Today, anyone can take a bath here. A temple where you can take a bath is rare to find in Japan. If you come to Okunikko, please take a bath at the Onsen Temple in order to be blessed by the god of good health and long life. For additional Information, let the office know beforehand. For additional Information let the office know beforehand. Access:Visit Nikko from Tokyo. It takes around 2:40mins to go to Nikko by Train. Therefore, it is a perfect location for a weekend trip to stay overnight. You can use both the Tobu-Nikko Line or the Nikko-Line for Nikko Station. Form there you can take a bus, which brings you to most of the temple around. 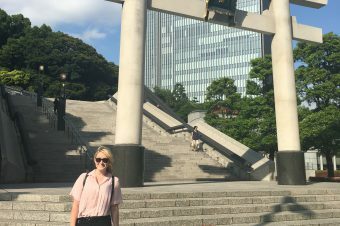 You find the grounds of the Onsen Temple when you climb a long way up to the top of a staircase, called Jizo-dou, which has 173 stone steps. When you enter the main gate of the temple, you can see the City of Gero and its landscape. The best part of the Onsen Temple is its unique, silent aura. Every month on the 13th, you can try Zazen meditation for free. Wouldn’t it be nice to try Zazen meditation at such a peaceful temple? 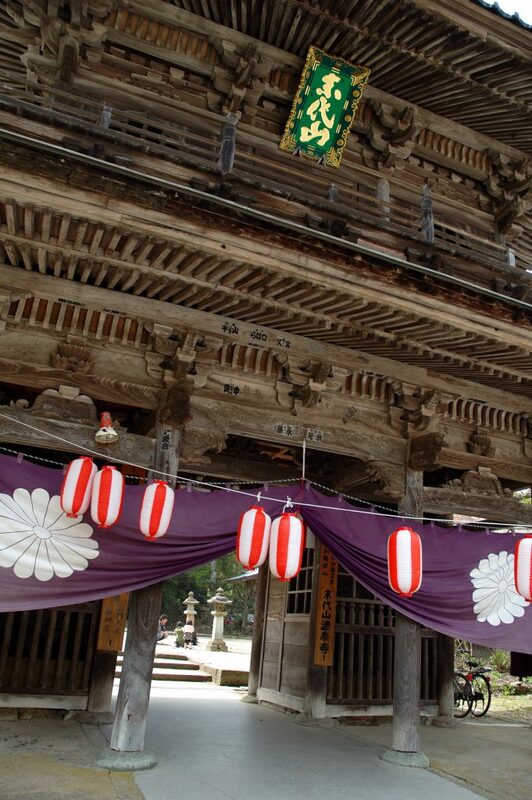 【Access】The Onsen-ji Temple is located in Gifu Prefecture in the hearth of Japan. It takes you 2:30 hours from Nagoya City. From Kyoto it takes you 3 hours and from Tokyo it takes you 5 hours by Shinkansen. The Gifu Prefecture is famous for the beautiful landscape and nature. Therefore, visiting the Onsen-ji Temple is nice for relaxing and spending time at nature. 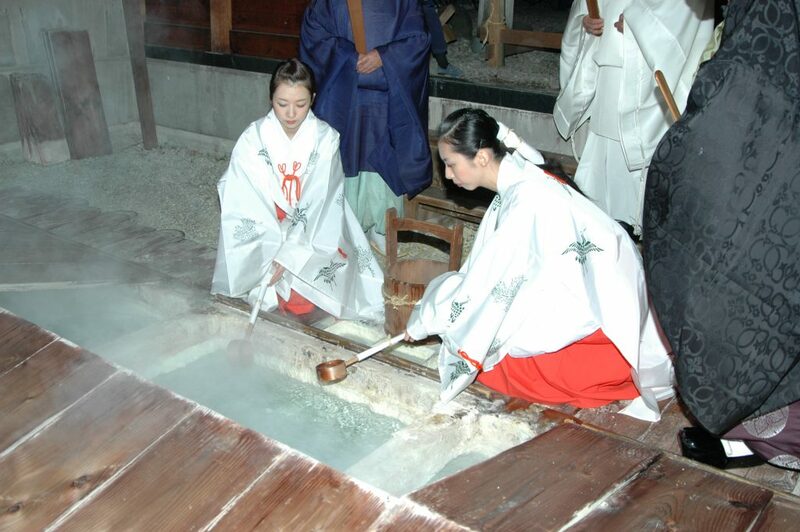 A master of the bow, Nasunoyoichi made a wish at the Onsen Shrine after being challenged at a war battle. Thanks to the shrine, he was able to win the fight and become famous. 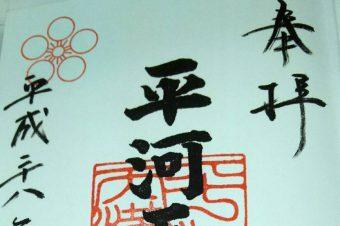 After his triumphal return, he was thankful to the god of wisdom living at the Nasuno Shrine and decided to give a torii gate to the shrine as donation. 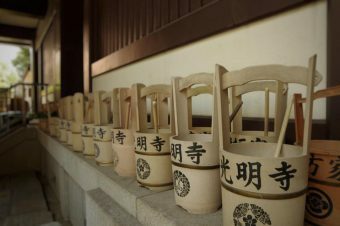 Nasunoyoichi died young at the age of 24, but the people of Nasu continued to worship at the Onsen Shrine. Since Nasunoyoichi’s wish came true, it became famous for helping its patrons always win and succeed. 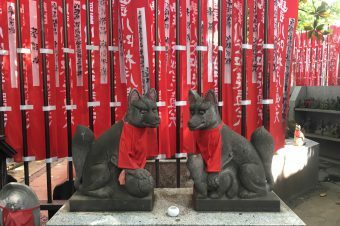 So if you have the chance to go to Nasu City, please visit this shrine. 【Access】You can visit Nasu from Tokyo by using the Tohoku Shinkansen. It takes you 3 hours to get there. Nasu is located in the countryside with great nature. Therefore, you could rent a car at the Train station or you use the bus. However, the number of busses is limited, so you should plan your trip beforehand. This onsen temple was built during the Nara Period (710~794) by the emperor’s direct order to create prosperity of the nation. All temples ordered by the emperor are called “Chokuganji.” There are many historical cultural properties at the Onsenji. This is why foreigners will likely love it. There are a lot of temples and shrines that are named onsen temples and onsen shrines, but this temple is considered the only onsen temple that was built by the emperor’s direct order. It is very valuable to visit there. 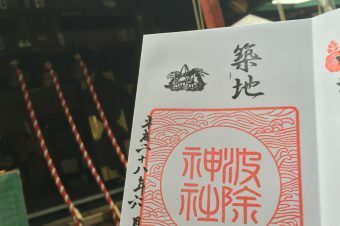 【Access】The best way to visit the Hyogo Prefecture is from Kyoto. It will take you around 2:30 hour to get there by train to Kinosakionsen Station.